Rodney is currently supporting Bruce Power’s MCR Project preparation. Prior to supporting MCR at Bruce Power, Rodney served as the Director – Quality Management & Nuclear Safety for CB&I. Prior to assuming these responsibilities, Rodney was the Exec. Director Power Quality for CB&I, responsible for overseeing the quality functions for CB&I’s Power Division, including nuclear and fossil projects. Prior to March, 2015, Rodney was the Vice President – Project Assurance responsible for quality assurance, regulatory compliance and licensing for the Mixed Oxide (MOX) Fuel Fabrication Facility. He joined the project in 2007 and has served in several management positions to ensure effective implementation of the quality assurance plan for the facility. From 1986 to 2007, Rodney served in various management roles for Entergy Nuclear where he began during start-up of the River Bend Station nuclear power plant in Louisiana. His leadership there included plant operation as a Senior Reactor Operator, commercial grade lab set up and operation, quality, work control, and maintenance management, outage management, technical advisement and emergency response planning. 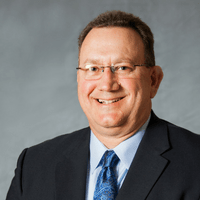 Rodney began his career in the nuclear industry with Stone & Webster Engineering Corporation, performing quality inspections of nuclear plant construction activities from 1981 to 1986. He earned a bachelor’s degree in applied science and technology, specializing in nuclear engineering technology, from Thomas Edison State University in Trenton, N.J.